Here are some common carols (and tips for how to sound good) that can help set your caroling plans in motion this holiday season. So, you’ve decided to go Christmas caroling this year, but you’re not sure where to start. Maybe you’re a little nervous about the very thought. Sing? A cappella? Who does that anymore? Just choir people and Dickens street performers, right? Wrong. You, too, can sing a cappella. Better yet, you can spread a little holiday cheer while doing so. Traditional carols are old enough that they are in the public domain, which means it’s easy to find free, downloadable sheet music on the web. Below is a list of some familiar carols with links to PDFs for printing. Also included for each carol is a recommended starting note, as one of the keys to successful singing is not starting too low or too high. A pitch pipe or a smartphone with an app that plays a pitch for you can help. 5. Everyone knows “O Come, All Ye Faithful.” An easy variation for singing is to have soloists or groups take turns with each repetition of “O come, let us adore Him” at the end of each stanza. Notice that “Rudolph the Red-Nosed Reindeer,” “I Saw Mommy Kissing Santa Claus,” and other modern Christmas songs are not on this list. That’s because they aren’t carols. 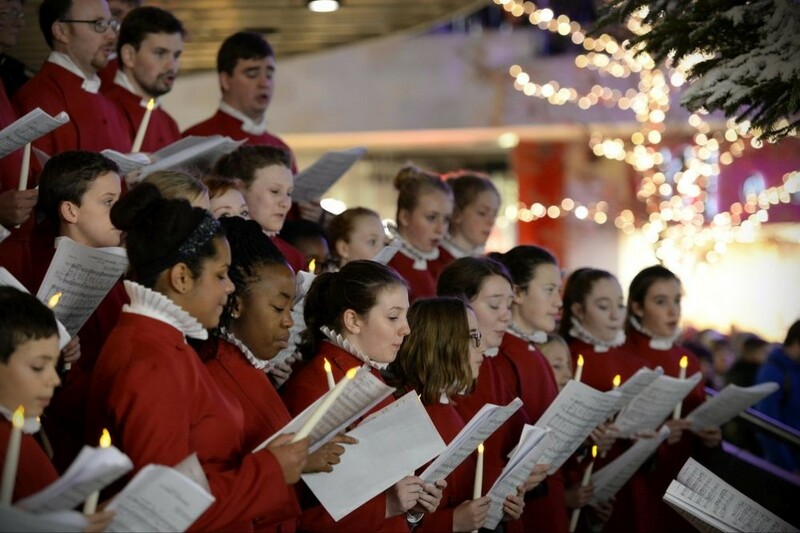 Carols trace their roots to medieval musical forms as well as to the tradition of wassailing. The practice of visiting people to sing carols for them grows to some extent out of both historic backgrounds but didn’t take shape in the custom we know as Christmas caroling until the Victorian era. If the carol you want to sing isn’t on the list above, do an internet search for a PDF of the title. If you don’t want to go to the trouble of searching, printing, and stapling your own songbooks, consider purchasing songbooks for your caroling group. Just make sure you buy one with both words and music. Here’s an inexpensive option. Happy caroling, and merry Christmas!